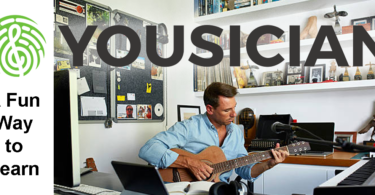 For experienced guitar players, there are many new features you can introduce to your playing and learning. If you play the bass you could start learning an upright bass, a 5 or 6 string bass, or a fretless bass. This article will prepare you to look for an upright bass with as many or as few advanced features as you need and is complete with the top products recommended at the end. I studied each component of guitars individually provided a description of many different choices you must make when selecting a guitar. Then, I used popular shops like Amazon and Musician’s friend to read reviews about user’s experiences. After finding which products were most popular, which were most expensive, and everything in between, I made my suggestions. The next four ways to categorize electric guitars depends on the physical features of their designs. Within each design there are many more physical specifications that allow you to further customize your choice in instruments. Ultimately, the way a guitar is built and the details in its design are the determining factors in the sounds you can potentially create. Some designs require higher level of skill while others are better for beginners. Some of them are more expensive than others, so you may want to look for one of the less expensive designs to start out with, and then invest in a more expensive instrument later on down the road. The most simple and obvious quality to note when shopping for a guitar is whether or not you want to use an amplifier. Amplifiers are electronics that are attached to electric guitars. When the strings on an electric guitar are strummed, plucked, or tapped, the vibrations are converted into sound by the amplifier. On the other hand, acoustic guitars have holes in the center of them, unlike solid electric guitars. 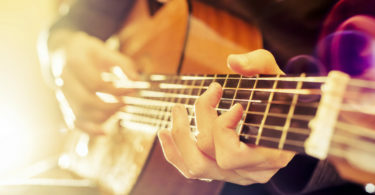 The hole in an acoustic guitar likes directly under where the musician strums or plays the strings, so the sound bounces off of the body of the guitar and can be heard without any amplifier or electronics. Many people find it easier to begin learning how to play a guitar on an acoustic for several reasons. First, the simplicity of not needing an amplifier (also called amp) can be helpful for beginners who might be overwhelmed by too many options and features during set up. Second, the price of acoustic guitars is typically less because of the reduced amount or equipment compared to electric guitars. Finally, acoustic guitars contain many of the key elements you need to understand in order to be able to play an electric guitar, so once you have a solid understanding of an acoustic, playing an electric will be a natural step up. 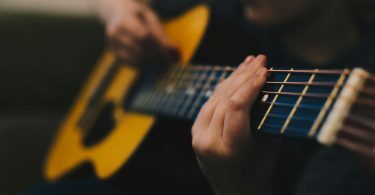 There will be some new features to learn and other small changes to adjust to, but overall, you will not feel like a beginner if you pick up an electric guitar after learning how to play an acoustic. Whether or not you have played an acoustic before, practice and dedication are always going to be the deciding factors in your experience owning a guitar. Having friends or a band to play with makes for the best experiences, but this article will give you more than enough options and information about upright electric guitars to have you feeling ready to pick one out and start learning right away. The last three ways to categorize are specific to electric guitars. Assuming you are ready to start learning how to play with an amplifier, the following sections of this article will make choosing the right electric upright guitar fun and relatively simple. The main difference between electric guitars and electric bass guitars is the number of strings. Standard electric guitars have six strings, while standard bass guitars have four. If you know how to tune and play one guitar, you basically know how to tune and play the other type, with a few modifications. The bass guitar, you see, has the same strings and is tuned to the same notes as electric guitars, but with two missing and tuned at one octave lower. 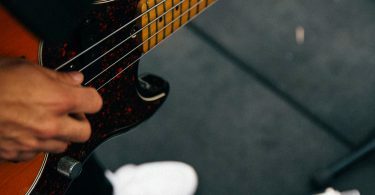 The bass guitar can end up being easier to learn, because you can play bass for a band without needing a wide range of skills. Bass players can grow and improve as musicians exponentially, so there is no limit to what a bass player can do and contribute to his band. Lead guitar players have a wide range of ways they can play, how they can interact with other instruments on stage, and what they do to create sound with the rest of a band. An electric guitar offers more options in playing styles and versatility of sounds, making it a more complex instrument in the long run. Either way, the skill needed to play electric guitars and electric basses are easily transferable between instruments. The last two ways to categorize upright guitars and basses each contain many specifications and details that can impact any playing experience, and especially your learning experience and sound over the long term. From the body of the guitar up to the very top is called the neck. This is where the strings lie and can be tightened at the top for tuning, or strummed at the bottom for playing. The neck, specifically, is the long piece of wood that the musician holds stead in one hand while playing chords. The three main parts of the neck are the fretboard, the headstock, and the tuning keys. In order to play scales, you must learn how to use your fretboard. This is the top part of the neck that faces the audience when a musician is holding the guitar, and it usually has small lines across it from the bottom to the top. Another unique feature of fretboards is truss rods. Truss rods offer you extra support and keep your instrument working well in the long run because they are long metal rods that run inside the neck and cannot be seen. Selecting a guitar with a truss rod is best, because if the neck for your instrument gets twisted or bent over time from tuning and tightening the strings, then you can have it adjusted and straightened back out, preserving the life of you instrument, and your budget. 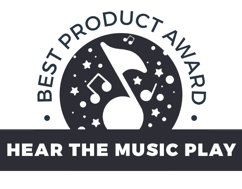 They are a highly recommended feature for guitar and bass players of all skill level and budget. This is one of the biggest differences in electric guitars. As we have already established, frets are the lines along the neck of the guitar that create scales and chords. Some guitars can come without frets, but this is definitely a next step in learning how to play and is not recommended for beginners. Learning how to play a fretless guitar means knowing your scales and chords by ear, rather than by looking at where your fingers are placed on the neck of your guitar. Some musicians say that if you can tune your guitar without looking at the fretboard, then you probably have the musicality and skill level to start learning how to play the guitar without frets. If this is too difficult for you and the tuning is not right, keep practicing and you will be able to work up to a fretless guitar eventually. Upright electric bass guitars are always fretless in designs, so now that you have decided that you are going to play an electric guitar, you know whether you are looking for a bass, and you have determined that a fretless model is right for you, you focus on the final quality in design: scale length. 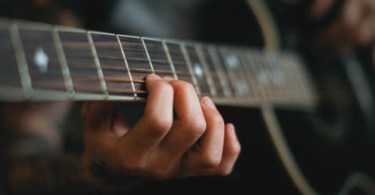 From the end of the fretboard, or the furthest reach for notes at the top of the instrument, to where the strings are attached at the bottom of the guitar is called the scale length. There are three different lengths for scale: short scale, long scale, and standard scale. Standard scale is thirty-four inches long and is what you will find in most guitars. Short scale is only thirty inches long and can be better and more ergonomic for shorter musicians with shorter arms. Long scale, as its name suggest, has a slightly longer scale of thirty-five inches. None of these are harder or easier to play necessarily, but just different in design and may be harder or easier to adjust to depending on the musician, his or her height and arm length, and what type of scale he or she is already used to playing. Standard electric guitars feature six strings, but for additional challenge and sound potential, you can opt for a seven or eight string guitar. Similarly, bass guitars feature four strings, but can also have one to two extra strings, meaning they come in five and six string options. For the dedicated musician who is die hard about becoming an expert at this specific instrument, extra strings might be the perfect way to ramp up your playing skills and take your musicality to the next level. The way that the neck of your guitar is attached to the body of your guitar will impact both sound quality and price. Use the following breakdown as a guide for how to find the right sound quality at the right price. A bolt is the most basic way to attach the neck and body of bass guitars. With the tighter and better secured the connection, you get an improved sound quality. The amount of overlap from the neck on the body also impact sound quality, where more overlap is better than less because it creates stronger connections and string tensions. Set necks are attached to the body of the guitar by way of a large bolt. The pros setting the neck in place with a piece like this are that it is tightly secured and creates great resonance in sound and sustain. The cons, however, are that it is harder to adjust this type than other neck types. These are the most expensive types of necks but the additional cost produces the best sound quality. Through body necks utilize one large piece of material, usually wood, to create the entire neck, front, and back of the guitar, rather than using an extra piece of material to attach a body to a neck. This thru-body style offers the cleanest sound of any type of neck design. The bridge is a small piece on the body that does not change or move while being played. The bridge holds the ends of the strings in place securely across the body and neck from one end. The opposite end is called the headboard and is where you turn the tuning keys to tune the instrument. The bridge, however, simply holds the other end of the strings. Bridges have various small movable parts that you can adjust for various tones and pitches. Typically, heavier bridges are the best for sound quality because they anchor the strings down for steadier sound. Each one has a slightly different way of anchoring down the strings and feeding them through or over their saddles to hold them in place securely. For information on how to adjust a bridge saddle, visit YouTube for many how to videos like this one. The bridge disperses the vibrations across the body of the guitar when the strings are touched and played. Then these vibrations reach the pickups, where the sound gets intensified. Pickups play the second key role in converting vibrations to sound on an electric upright guitar or bass, working together with the bridge and strings. A small electromagnetic piece that converts the vibrations to electronic signals, the pickup is very important. A small electromagnetic piece that converts the vibrations to electronic signals, the pickup is very important. You will find that many electric bass guitars have two of these for better sound quality. In order to select a guitar that fits the sound you are looking for, it is important to note the pickup’s proximity to the fretboard. Pickups that lie closer to the fretboard end up creating a smoother, more classic sound, while those that lie further down on the body and near to the bridge end up giving you an edgy sound. This type of pickup has only one coil and one magnet and create energetic, concentrated sound. The disadvantage is that they can be too noisy for some types of music. Active preamps run on power but also offer more control regarding the tone and a stronger output regarding the volume. They can sometimes even have customizable pickups and offer extra EQ features so that you can alter the wiring. Some of the active electric guitars even have a switch to move between humbucking pickups to a single coil pickup. Passive preamps, unlike active preamps, run independently without batteries. Because there is no battery to depend on, they are not at risk for dying during a show or needing to be plugged in while you are playing. They typically have three nobs used to create what is called a low-fi sound. As a simpler model, passive electric guitars are best for beginners over active guitars. The first is called hollowbody and ends up sounding more like an acoustic guitar that its opposite. A hollowbody, like its name suggests, is hollow inside and uses magnetic pickups to amplify sound. They traditionally feel lighter, so they may be better for beginners who are not used to holding a heavy instrument or musicians with smaller frames. The second type of body that an electric guitar can have is called a solid body. A solid body guitar will feel heavier, but it will produce a better resonance and cleaner vibrations, so it will also have a slightly cleaner sound and definitely higher volume. When selecting a hollowbody or solid body bass guitar, you will find that guitars are most often made from high-quality wood. Some of these types of wood include mahogany, maple, ash, swamp ash, basswood, alder, and agathist. While there are many types of high-quality wood, at varying prices and durability, if you select a guitar based on all of the other features in this article, the type of wood or laminate used is the least important factor in selecting your guitar. Almost any manufacturer who take the time to create detail specific instruments will want to use high-quality materials, so unless you are shopping for a super low priced item, most any guitar you find online will be made of excellent materials that will last you a long time and serve you well. Once you know what type of each specification is right for you, all you need to do is search for the instrument with those details you need if it is not already recommended here. We have some solid options for various skill levels and budgets. With so many products currently available on the market, you can find an upright electric guitar for sounds, budgets, and music styles across the board. 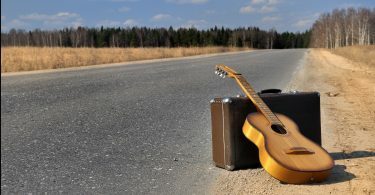 For beginners to upright guitars, an acoustic-electric might be best, because it will not require extra gear to set up an amplifier. If you are looking to start out with an acoustic, you can later one get an electric and add an amplifier. Simple four-string upright guitars like this one are also great for beginners because they offer the main elements of learning an upright bass: four strings, upright stance and needing an amp with an introduction to fretless playing. Some models have five strings and can be played with or without an amplifier. The Höfner 500/1 is a great short scale electric bass guitar that has frets and is modeled after a Viola. 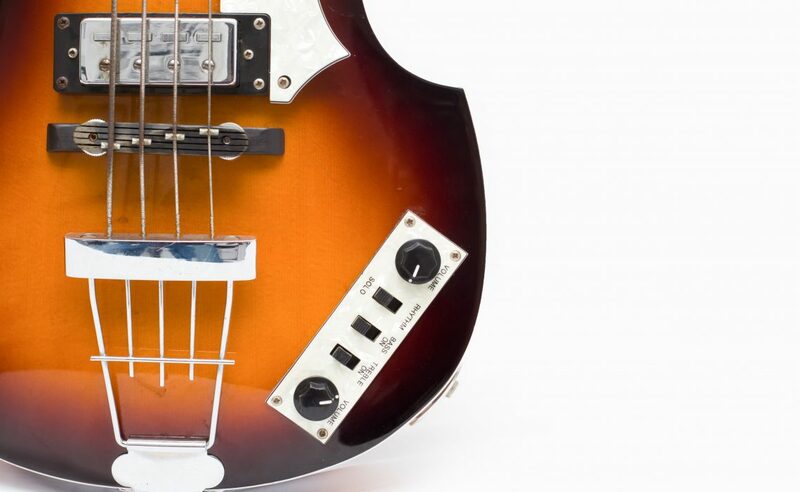 It was made popular by Paul McCartney from the Beatles and has been one the most famous bass guitars in history.